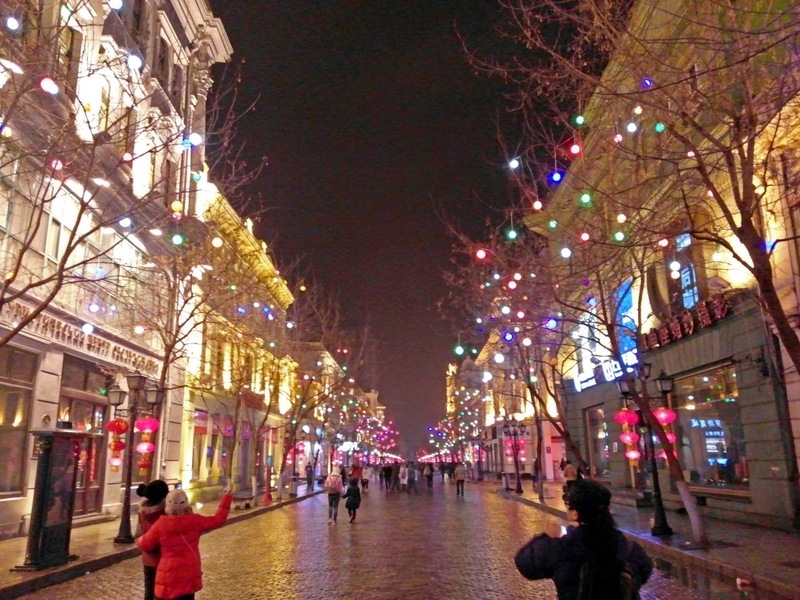 From Harbin train station exit, walk to the left side of Exit around 1km until you see the Zhaolin Street in Daoli District. Go inside of this street and you will see first the St. Sophia Cathedral, Zhaolin Park is around 200m away. Entrance fee in St. Sophia is 20CNY while 70CNY for Zhaolin Park. Photography and video taking is permitted inside. Zhaolin Park is the first park in the city, built in memory of the General Li Zhaolin. Set up in 1900, it was originally named "Daoli Park" and changed to present name "Zhaolin Park" in 1946. When the night fell, the ice lanterns in the park combine light, sound and action in one, resplendent with a great variety of colors. The vivid and fanciful designs collect the beautiful scene in the world. St. Sophia Church is the largest Eastern Orthodox Church in the Far East. It is 53.3 meters (175 feet) high and occupies an area of 721 square meters (0.18 acres). In November, 1996, it was listed as one of the Key Cultural Relics under State Protection.